My new clients in Silicon Valley are requesting I do more posts about life in the Bay because my website is still all about Virginia! It’s very hard to keep up with a blog because time is moving so fast! I am loving my new studio in Downtown Campbell, I had a grand opening December 2017. For my Virginia clients who may not know; Campbell is just one part of Silicon Valley- about the same size as Charlottesville. It lies about 45 minutes away from San Francisco and is know for it’s lovely downtown area. (Campbell’s also famous for its Octoberfest.) 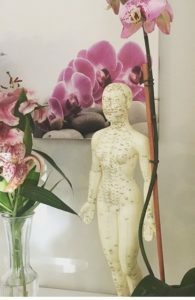 After a little hopping around a little last year I am thriving in a lovely space I share with a super talented Acupuncturist, Anna Mai. (Anna is fantastic and taking good care of me.) Yoga is taking off- I have classes around the clock at every level and area of interest. Virginia clients are always invited to join me in a Apple Facetime or Periscope for yoga sessions, meditation or just tea. Everything can be scheduled through my mindbody app- which I update more often than my blog here. In recent news- by popular demand I am finally opening my own methods in Yin Yoga. Coming from a Hot Yoga/ Power Vinyasa background embracing Yin Yoga feels like coming full circle for me. I am most influenced by the work of Sarah Powers when it comes to Yin Yoga. Countless clients over the years have encouraged me to open my own classes in the art of Yin Yoga because of its perfect pairing with massage. 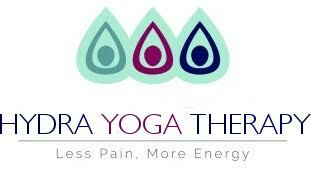 I wasn’t until a good client of mine who is recovering from a knee injury received specific doctors orders for Yin Yoga that I am thinking, “It’s finally time to do this!” So for now join us Tuesdays and Thursdays at 12:00pm for breathing, long stretching, massage and insight into the mechanics of your own healing power. Stay tuned our MindBody account for recent updates. Whether online or in the studio get ready to breathe deep, relax and have a good time with me and some yoga!